The Accountability Court has finally announced its verdict against former prime minister Nawaz Sharif. For the second time in a year, Nawaz has been sentenced to prison, this time for seven years in the Al-Azizia corruption reference case. According to the court, Nawaz was not able to produce a money trail in this case, while he has been acquitted in the Flagship reference as the court deemed the evidence provided by the National Accountability Bureau (NAB) to be insufficient. The Flagship corruption reference was based on the allegation that through his son’s offshore companies, Nawaz received his salary in the form of cash and failed to disclose this in his nomination papers. This was the case in which he was disqualified by the Supreme Court (SC), and his innocence proven in the Accountability Court has raised serious legal questions regarding the earlier decision. This decision was expected and was not a surprise this time, as it is believed that Nawaz will be imprisoned yet again to decrease the pressure on the current regime. However, the question that arises is: will Nawaz and his party be silenced if he is imprisoned yet again? It seems the support base of the Pakistan Muslim League-Nawaz (PML-N) is viewing this court decision to be an act of revenge, or a lesson from the masters of the political chessboard. 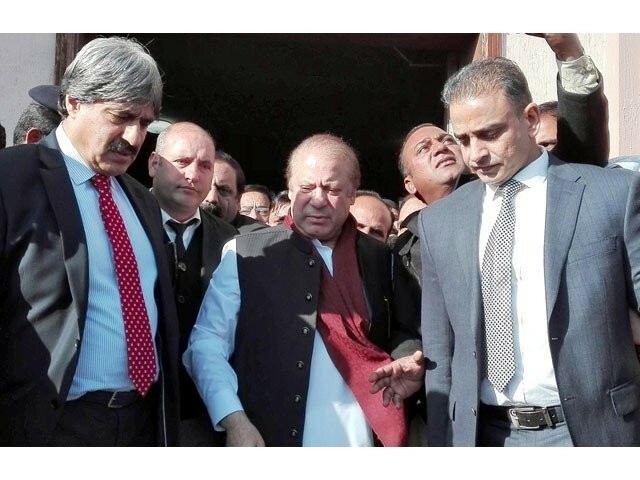 After all, the strangest factor behind today’s verdict is that Nawaz has already been acquitted by the Accountability Court in the Flagship reference, which makes us all wonder where Nawaz’s disqualification stands now, as he was disqualified due to a case he is now acquitted in. However, the Al-Azizia reference case has created more difficulties for the PML-N, as it now finds itself in a stranglehold, for it seems Nawaz will be facing legal battles for a long time. In any case, the real testing time for the PML-N has begun. Shehbaz Sharif is behind bars, and now so is Nawaz. With both leaders in prison, how will the PML-N keep itself intact and build its narrative? On the other hand, the narrative propagated by Imran Khan and the Pakistan Tehreek-e-Insaf (PTI) in which Nawaz has been using his power to gain money has now been weakened, as Nawaz has been acquitted in that reference. Regarding the Al-Azizia case, there is the question of why Nawaz is being asked for a money trail for a time when he was not in power, was not even in the country, and had not taken any loans from any bank in Pakistan. For the PML-N, it is perhaps time to revert back to Maryam Nawaz’s narrative of aggressive politics. Maryam has already broken her long-held silence and if my sources are correct, she will soon be holding public gatherings in order to gain the sympathy of the public and to present her father’s case in front of the masses. She has broken her silence at a time when her party needs her, and keeping in mind her track record, one can predict that Maryam will give a very tough time to the already weak coalition government of the PTI. However, it is interesting to note that Nawaz has instructed his party members and Maryam to only start public meetings and gatherings, but not to start any countrywide protest movements yet. This makes it clear that Nawaz is willing to give the PTI government some time to gain its footing. Perhaps the PTI will be happy to not face a threat in the short run, but in the long run it will hit them harder than they will expect. Imran and his party need to realise that Nawaz is playing his cards right by restricting his party members from protesting, and behind this move is the desire to let the PTI crumble on its own and sink politically under the weight of its own failures. Another factor to note is that sending political opponents to jail only creates an impression of fascism for the PTI government in the global community. Meanwhile, sending Nawaz to jail once again has brought new life to the ranks of the PML-N, which became quite dysfunctional after the death of Kulsoom Nawaz. Thus, the current judicial decision against Nawaz can be termed a blessing in disguise for the PML-N, as from now it will need its narrative of democratic supremacy to prevail among its ranks. Maryam seems ready to take on the battle and the PTI government needs to understand that the more public gatherings she addresses, the more political instability she will create, which will only make things harder for them, particularly with respect to the economy. This case is not as simple as it seems, for the fate of politicians is never decided in courts, as made clear by our own history. From Zulfikar Ali Bhutto to Benazir Bhutto and then Nawaz’s disqualification in the same manner in Musharraf’s era, all speak volumes and prove that Nawaz’s political career and his party can never be eliminated by the decision of a court. Nawaz also has the right to appeal in the High Court where the nature of the case can change entirely, as seen in the recent past in the case of the Mayfair apartments where the burden of proof was shifted from the Sharifs onto NAB. This precedent means that when he appeals, NAB will be unlikely to provide proof and Nawaz is likely to get out. After all, the actual case was the Flagship reference and Nawaz has been acquitted in that, making it more probable that the sentence in the Al-Azizia case will be suspended in the High Court. 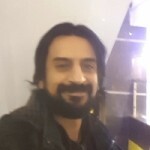 However, the wave of sympathy enjoyed by Nawaz, Maryam and the PML-N due to the narrative of victimisation, only proved further by such cases, is not only keeping the support base intact but is paving the way for the grounds upon which Maryam can launch her aggressive brand of politics, which not only poses a challenge to the PTI but also to the hegemony of the powers who control the political proceedings from behind the scenes. Nawaz’s conviction is hence by no means the end for him, his family or for the PML-N – it is simply the beginning of a new phase of the game. Unlike the expectations of the PTI government, this phase is going to put them on the back foot as the PML-N has been left with no option but to adopt a more aggressive brand of politics that will ultimately change the current political landscape drastically. The lines have been drawn and the political battle is only growing stronger and deeper. But what many don’t realise is that the longer the PML-N is allowed to drag the battle, the harder it will be for its opponents to sustain the pressure. Does anyone know where the Gazi captain Safdar [retd.] is? Leader of the True Believers.